I am thankful for those who teach my children, not just in the classroom but in their homes, at the YMCA, at the libraries and the auditoriums. I know you share the pleasure I feel as they grow as people. I am thankful that I work for a school district that cares so much for the individual and that invests so much in their personal and professional development. And I am grateful for the team I work on and the folks I report to. 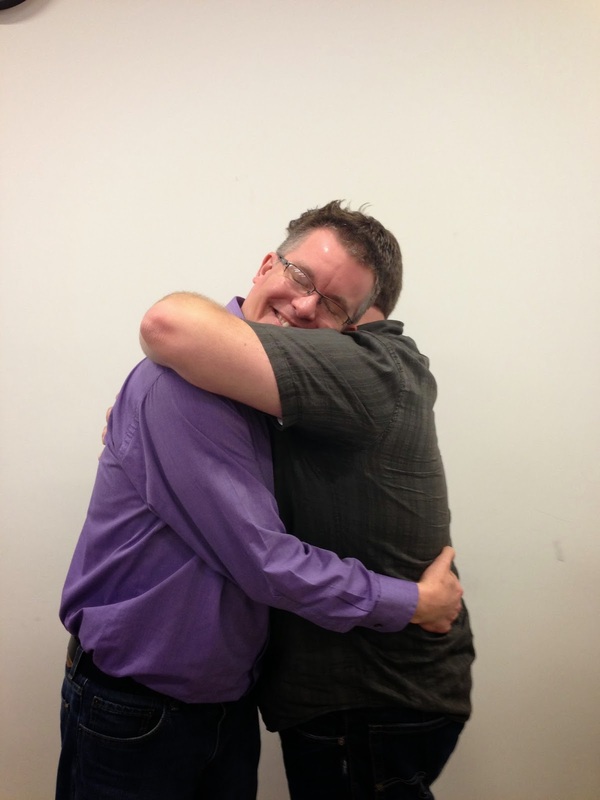 I love my job and am deeply grateful for my colleagues. 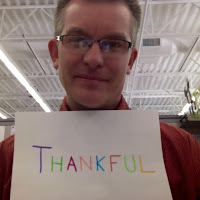 I am thankful for my PLN. I learn everyday from passionate people locally, across the state and throughout the world. The generosity of spirit that exists in the communities, groups and hashtag chats I belong to inspires me. I am thankful that I live in a country where people care enough about educating everyone that they have ongoing debates and arguments over how best to do it. I appreciate my right to make my voice heard. I am thankful to live in a time and to have a career that demands more of me creatively, but that also offers me more creative options and opportunities. I am thankful for the tools that I have at my disposal that didn't exist even 5 years ago. I am thankful for the opportunity I have to work with learners of all ages. When I was in the classroom, I saw learners through a single lens. What a joy to see the whole person learning from pre-school to adulthood. I am thankful for the spark that I see when a learner's curiosity is engaged and their joy for learning is ignited. I am thankful for the reflective teachers who come to work everyday purposefully trying to design learning experiences that matter to each learner individually, and who share their successes and failures with other teachers in a spirit of collaboration. I am thankful for the friends I've met this year, for the opportunities they have brought to collaborate, and for the organizations I've had the chance to serve. I am thankful for the feedback I've received from the people who attend my workshops, read my posts, and participate in my projects. It's my pleasure to serve, but I appreciate those who have helped me grow and have affirmed my work. I am thankful to live in a family full of teachers. Forgive my bias, but having that many folks around me who have made the sacrifices it takes to support others as they grow is a real gift. I am thankful for the rare but essential quiet moments in the school year when we remember that there is so much more to our lives and the lives of our students than the academic march we make from August to May. While education can feel like a thankless job when folks politicize it for the sake of soundbites and corporate agendas, the reality is that real people recognize and appreciate the purpose we've committed ourselves to, the difference we make in the lives of our learners, and the care we take to do the job well. Thank you, my friends, for everything that you do. I hope you have a restful and fulfilling holiday weekend. 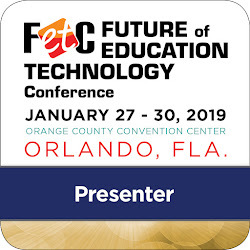 I have the pleasure of working for a forward-thinking school corporation, and I am blessed to have a job that gives me the opportunity to work with teachers to find meaningful ways that technology can enhance teaching and learning in the Digital Age. Like all educators, our teachers live in a constant time-crunch, and if I can help them by bringing them opportunities to learn about great tools that not only improve work, but also transform learning, I am all about it. 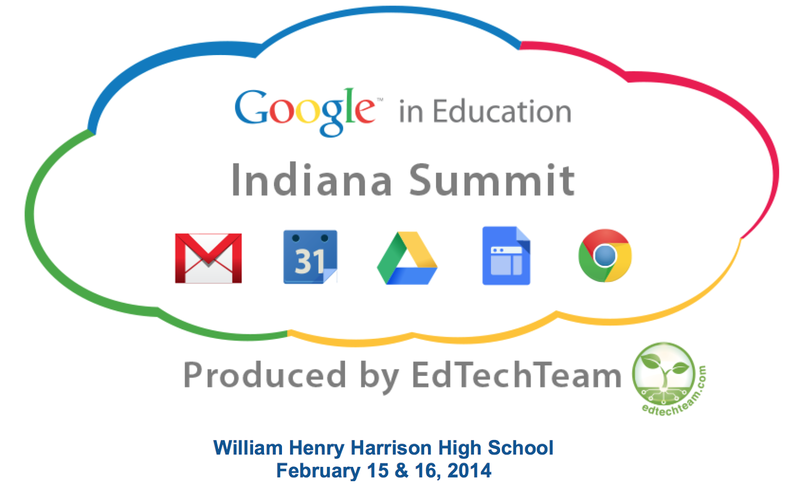 That's why I am so thrilled to share that the EVSC is hosting the very first Google Apps For Education Summit located in Indiana. I'd like to think that our reputation for excellent professional learning opportunities precedes us now that we are in our 6th year of hosting the EVSC eRevolution (save the date for July 9th and 10th, 2014). But even if Google's interest in partnering with us is based on our central location- 2 hours from Nashville, 1.5 from Louisville, 3 from St. Louis, 3 from Indianapolis, 4 from Cincinnati, and 6 from Chicago- I love that we can make this experience easy to access for our own educators and can build a stronger PLN in the process. 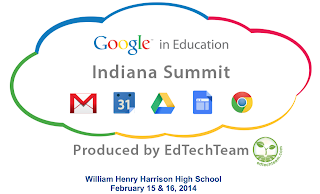 Details: This high intensity two day event focuses on deploying, integrating, and using Google Apps for Education and other Google Tools to promote student learning in K-12 and higher education. The program features Google Certified Teachers, Google Apps for Education Certified Trainers, practicing administrators, solution providers, Google engineers, and representatives from the Google in Education teams. Additionally, there are 1&2 Day Pre-Summit Workshops for those who are interested. The location for the Pre-Summit is the EVSC Technology and Innovation Center. The Summit includes free parking, free wifi, free continental breakfast, and free lunch. We would love for you to join us in February for a great weekend of learning and collaborating around Google Apps for Education. If you would like more information, you can check out the website or email the ICATS. I've been working on building resources for a website I use to support one of my presentations. In the process, I've been doing some short screencasts that demonstrate the basics of using some of my favorite web tools. I created these screencasts using TechSmith's Camtasia, another of my favorite creativity tools. Okay, this is pretty cool. If you are looking for ways to connect your classroom with the world and to give your students really unique experiences that might not otherwise be available to them, I encourage you to check out Google Connected Classrooms! If you want to know more about this program, you can check out the FAQ page. For more information on using virtual field trips in the classroom, you can visit this recent post. If you would like more information about Google+, check out my G+ LiveBinder. I had an important conversation with my wife (a classroom teacher) the other day that reminded me (an educational technology coach) how easy it is to be misunderstood. I was trying to understand how I could more effectively reach teachers with the resources and messages that I am trying to promote. In my mind, it was a question of efficiency and communication. How do I best reach my audience, and under what circumstances are they most likely to be open to working with me. What she shared opened my eyes. She was pretty direct in saying that the product I was selling wasn't one that many people saw a need for or wanted. Teachers who already use technology well in the classroom don't feel that I have much to offer that they don't already know about, and teachers who aren't using the technology my district provides to its full potential have already determined that they don't have the time or interest in learning what I have to offer. This leaves a small group of people who are interested and need my help, and they are overwhelmed in a sea of mandates that make every initiative a priority. In short, if all I am offering are more tools to learn, I'm going to have trouble connecting with an audience. Now you might think the message I took from this was that my colleagues and I are fringe resources that don't have much hope for affecting classroom instruction, that our mission is out of step with the direction our corporation (or education generally) is headed. Nope. My epiphany in this conversation was that folks think my job and mission are to get people to use technology for its own sake. They seem to think that the tools, tips and tricks that I offer are the meat and potatoes of what I know about great teaching and learning. The message was pretty clear that I had become associated with my skills in technology and not my skills in the classroom. I'm perceived as a trainer, not an educator. I'm not going to lie. That stings a little. But I also see the problem here. I spend a lot of time providing support in terms of introducing new tools (the what) and explaining how to use them in the classroom (the how). However, I am clearly not spending enough time sharing why using technology proficiently in the classroom matters (the why). Simon Sinek would suggest that I haven't adequately made the case to teachers that what I know is relevant to their goals as an educator. If you ask any Educational Technology specialist or coach what makes compelling teaching and learning, they will not go to the list of tools in the toolbox. They will go to the list of practices that enable a person to reach their learning goals, and then they will add that technology has the ability to magnify those practices in the service of learning. 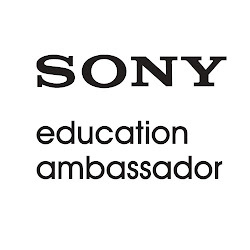 We want kids who care about and are connected to the world. Students who can see things through multiple lenses and who can empathize for people who are different from themselves are less likely to jump to rash conclusions, are less likely to de-humanize others, and are less likely to misinterpret what others are trying to communicate. Connecting to and communicating with the world broadens perspectives, teaches ethics, challenges preconceptions, and inspires wonder and creativity. Technology makes connecting to the world easy. We want kids who know how to create rather than merely consume. In a world in which information is easily obtained, school no longer needs to focus on content acquisition. Instead it need to focus on skills development. Students need to learn to create in multiple formats. Creativity is the top level of Bloom's Taxonomy and represents the highest form of learning. Students who are engaged in conceptualizing, designing and enacting projects are learning authentically, and technology has the power to enable and enhance every step of the creative process. We want kids who work well with others. Humans are social creatures who share multiple environments. The ability to collaborate effectively, meet responsibilities inside a team, and use one's talents and experience to affect group work is essential to successfully navigate an increasingly connected world. The skill sets related to collaboration include compromise, organization, responsibility, communication, and persuasion. Technology can make collaboration more efficient, can extend collaboration to wider networks, and can make collaboration possible beyond the class period or school day. We want kids who communicate well and can express themselves persuasively. Giving students a voice and teaching them to care for how they express their ideas is increasingly important in a world that hands everyone a camera and microphone. Learning lessons related to audience, message, style, tone, and subtext are essential. Students need communication skills more than ever, and while those skills begin with oral and written communication, they expand to include the special skills related to artistic expression, digital communication and modern social contexts. To communicate well today means using technology to amplify one's voice and message. We want kids who are able to answer their own questions and solve their own problems. Learning informally has never been easier. Students now go to the Internet to learn information as needed. Students are teaching themselves skills and finding teachers and mentors online for everything from learning language to playing instruments. Knowledge and skill development is inexpensive and easy to find on the Internet. 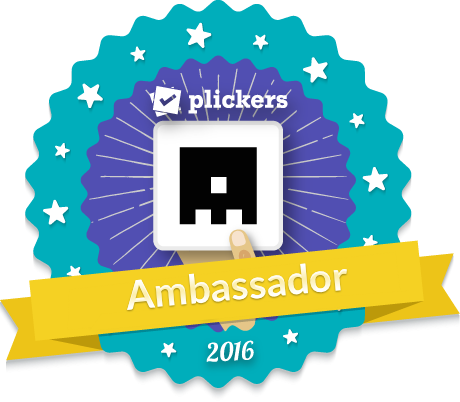 Yet, students still need teachers and schools to help them to best use these online tools. Students need learning coaches who can help them by introducing them to the concepts they aren't familiar with, teaching them to vet information and use it logically, honing their learning skills, and guiding them to set new learning goals and aspire to greatness. Technology enables students to take more and more charge of their own learning while teachers help students develop the learning habits that will make them successful. We want kids who are well-informed and decent citizens. Learning to think critically and to act with a sense of civic responsibility has always been a goal of public education. We want kids who don't get bamboozled by people who would take advantage of them. We also want kids who will make the right ethical choices to protect their reputation, serve their community, and avoid hurting the rights and interests of others. This is a hugely complex set of skills that we attempt to develop in our children. In today's world this is made even more complicated because kids can make mistakes much more publicly online. Technology can enhance a child's ability to be informed, and can just as easily mislead a child if he is not well-trained in using information. Teaching children these lessons via online environments can help them to make better choices when they are online without us. We want kids who are able to make sense of new information and organize their thoughts. The ability to adapt to new information and make decisions based on careful consideration of information will help our children make good choices and respond to change. This is especially important in the Digital Age when searching for information online has been compared to trying to drink from a firehose. The benefit to having access to all of that information can be nullified if we don't help students develop the ability to analyze, synthesize, curate and organize the digital information they encounter. Technology can help students find, organize and keep information that they find valuable, while teachers help them understand how to verify, consider and apply that information. We want kids who know how to balance the real and virtual worlds. There is no doubt that students struggle with balancing their digital and physical worlds. 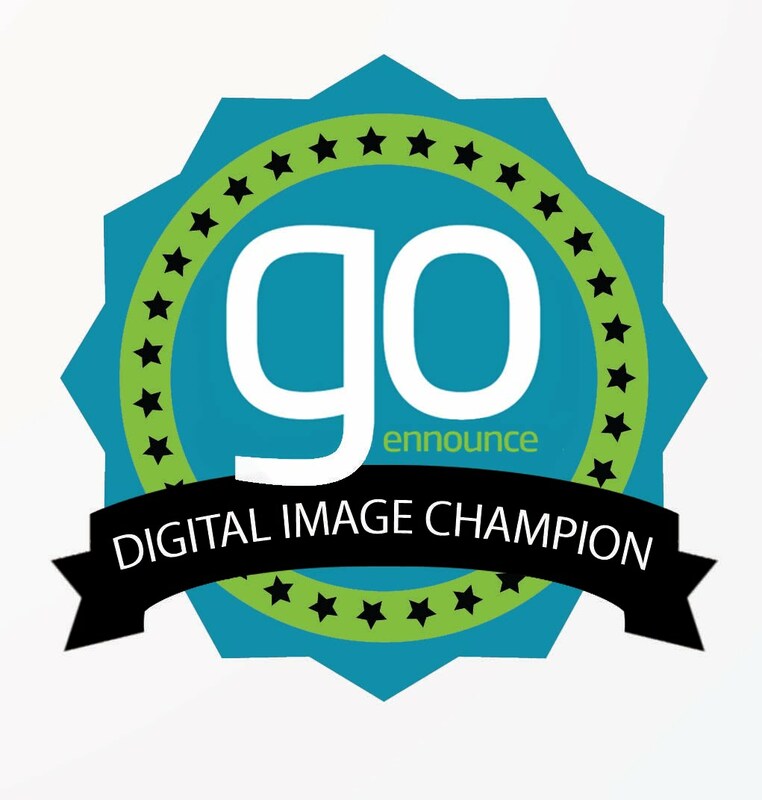 The digital world is built to be compelling. Yet the solution to this problem is not to avoid the digital world. Instead, we need to help students to see when the digital world is the most productive place for us to do our work, and when it isn't. We need to help them develop the ability to recognize in themselves when they are using their time well and when they are not. If they don't build this awareness now, they will likely pay for it later. Learning to use technology as a tool when it is appropriate is akin to teaching them to use a hammer. They need to practice with the tool, but they also need to learn that the tool won't fix every problem. We want kids who will lead in the fields that interest them. Students should be using their time with us to discover their passions and develop their skills in the areas that they have an affinity for. Students should be bringing their interests and talents to the work they do in our classes. The way they will eventually become leaders in their chosen fields is through hard work, exploration and risk-taking in areas that matter personally. To help them develop in the areas that matter to them, educators need to have the flexibility it takes to differentiate for students based on interests, strengths, and opportunities. Technology opens doors for teachers and students to personalize what is learned, how it is learned and how learning is demonstrated. Personalizing learning allows students to ramp up their expertise and abilities and prepares them for leadership roles as they develop. We want kids who are curious and have passion. At the end of the day, we need help students maintain and develop their own curiosity and sense of wonder about the world. This will help to ensure that they become life-long learners who are capable of tending to their own growth and happiness in their lives. If we have one mandate above all, I would argue that it is to nurture the natural tendency toward learning that all people possess. To help our students explore the world, to encourage wonder, and to build-up the learning habits that lead kids to answer their own questions and realize their dreams. Technology doesn't create this, but it can enable it by giving us access to ideas, places and people we didn't have access to before and by giving us new ways to answer the questions that drive us. We want kids who are happy and who find their place in the world. I can't think of any reason that drives my passion for education more than this. What do I want for any child? Happiness and a sense of belonging. Those things can be hard to come by for some kids, and educators need to take responsibility for providing that before anything else. In our classrooms and schools, we can do much to support this, but technology can help us even more. Helping students develop their personal learning networks (PLNs) can be one way to help students "find their tribe" when their options are limited otherwise. The friendships that people develop virtually can be as important as the ones they develop in person, and our ability to help provide those connections is supported through technology. I have to believe that most educators share these goals. They represent some of the core values of education that coaches and leaders in the EdTech community are aiming to promote and enable. If I've failed in the past to convey that before launching into my "10 Latest Tools" song and dance, I apologize. I hope you know that I came to this work through a genuine interest in how best to make a difference for kids, that I recognize that it isn't the tool alone that makes learning with technology successful, and that my interest in working with teachers has nothing to do with pushing a particular set of solutions and everything to do with helping teachers grow in their practice. 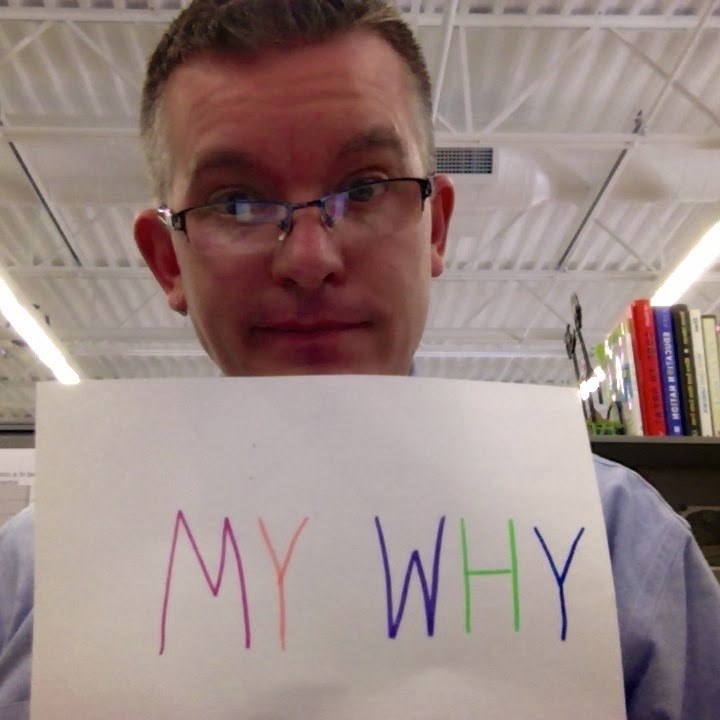 My takeaway is that I need to lead with "the why" when I reach out to my colleagues. Their time is limited and valuable, and they want to know what they will get from time spent with me. I need to share with them why this conversation matters and how it can make a difference for kids. I've definitely got more to think about when it comes to how to apply this lesson, but I'm grateful to my wife for reminding me to put what's important into words.